Promotional Products & Print for All Your Needs! Wild Cat Team and Partners continue deliver high quality products and services. We have provided “All Included Program” in 2014, where WCS paid your taxes. We have had very positive respond from our customers. We have implemented this Program in 2014. In 2015 we have extended it because its popularity. In 2016, all our customers will be benefited with additional discounts, sales and exceptional services. Company provides Ultimate Service for any type of business. We work specifically for businesses. With our experience and ability to do B2B, your satisfaction guaranteed. 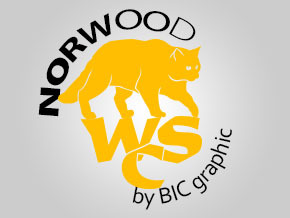 Educated and experienced designers. Combination of old school and modern art. Complex compositions. Speed and natural vision. Colors and beauty. Quality, variety, ability, modern technology, professional attitude and power. Boosting and growing your business with our help. Regular specials for entire line of products. Closeouts and “on sale” items. Ability to Implement customers ideas with our ability to manufacture. Our young and ambitious team learns every day. Courses, educational seminars and webinars, expo and exhibitions – regular routine for Wild Cat Crew. Analyzing entire process. Increasing your effectiveness. Following your orders. Tracking your shipping. Easy going, flexible, responsible and happy team. 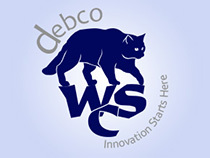 WCS have a huge dealer partnerships with such known manufacturers as Norwood, Debco, Ash City and other companies. Here we have our featured companies with their exclusive products. There are several reason, why our customers choose Wild Cat Souvenirs Co. as their primary Promotional Products Provider. We will guide you to make your order easier. You can order and discuss and order over the phone or simply email us. Also, we have an excellent integrated system, which properly leads us to the product you have chosen, quantity, provides your contact info and time frame for production. 1. Click on “Promotional Products” or chose your category from dropdown menu. 2. Browse the products using our tools: Most Popular, Price (Low – High), Price (High – Low) or simply type the subject name in “Search” box. 3. Find the product and click on it. The new “Product Info Window” will open. This is “Product Info Page”. Please, read this info through and, if you like everything there, follow to next step. 4. If you need more info, please click “Request Info”. 5. Most popular is: “Request Quote”. The new window will appear. Please, fill all the information we ask there. If text needs to be printed, please, provide the desirable text in the box. If you have an Artwork ready, please, attach your file to the special box provided. In the “Notes” you can provide any additional info you think will be useful. 6. Click “Add to Cart” Button at the bottom of the page. 7. In new window you can check your info, and product description. You can remove or modify the info you entered. If everything looks good, click “Check Out “Button. 8. In “Check Out” section, please, provide all information about your company, billing and shipping address, additional notes. Also, you can click “Email Confirmation”. 9. The last window will give you your order tracking number, for example: 16281995. This number will also appear on the email confirmation message that you will receive if you selected that option. 10. You job is done. We will send you your Quote included applicable taxes, shipping expenses and other related details. 11. The Quote is valid for 30 days. 12. If you agree with the quote you received, please respond and will continue to work with you before production and completion. After receiving all the information we need, including your Artwork, we will create a “Proof” of the Product with your Artwork on it. We will email it to you. After you approved or changed it, we will send you “Pre-payment form”. Please, fill it out with your payment information and send it back to us. If you pay by check, or money wire transfer, please be advised, that both these transactions require 5 business days for completion. After receiving your payment, we will send you confirmation and production begins. If product requires 7 working days for production, this count starts next day we receive you payment. After production completed, we will ship your item/items directly to the address you provided. It is not necessary to have the same address, as your office has. The address of shipping can be at any location in USA or Canada. We use UPS and FedEx. You will receive the tracking numbers for shipping and we will follow it as well until receiving and confirmation of receiving. Wild Cat follows all the orders to the end. Your feedback on our Blog is appreciated. Wild Cat Souvenirs Co. have changed a “Club Member” program in 2016. Again, our goal is to bring quality and affordability to all our customers. 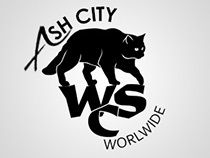 Therefore, WCS eliminates $50.00 Fee and Club Member Cards will be send to all our customers after at least one order in 2016. We will set up your accounts associated with Club Member Card Number and all benefits will apply automatically.